But first 5 “time inspired” quotes to get you in a philosophical frame of mind. 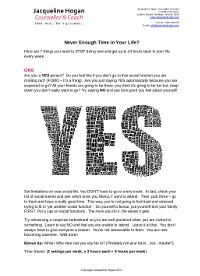 Do you feel like there is never enough time in your life? Download my free article below to get hours upon hours back in your day. Plenty of time for you to devote to relaxation, new endeavours and self improvement.